This is Alt Coin season so in the next upcoming days you can expect to see more Altcoins guides, tips and tutorials from Coin Guides. With more than 1000s of Altcoins out there many of us are currently mining one or the other. Most of the Altcoins are ASIC resistant which is good and most importantly many new coins are leaning more towards NVIDIA than AMD GPUs. Yes, NVIDIA seems to hash better than AMD in majority of Alt coins. Most of us miners know that when it comes to mining Altcoins with NVIDIA; CCMiner is the best. 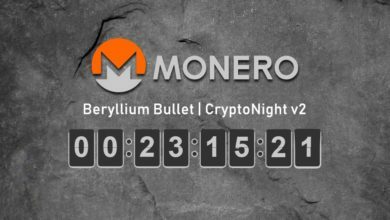 Forget about EWBF CUDA Zcash Miner and Ethereum Claymore miner for now. Here this post is all about CCMiner and choosing the best CCMiner version for specific coins and algorithms. CCMiner stands for Crypto Currency Miner. It is basically a mining tool for NVIDIA. 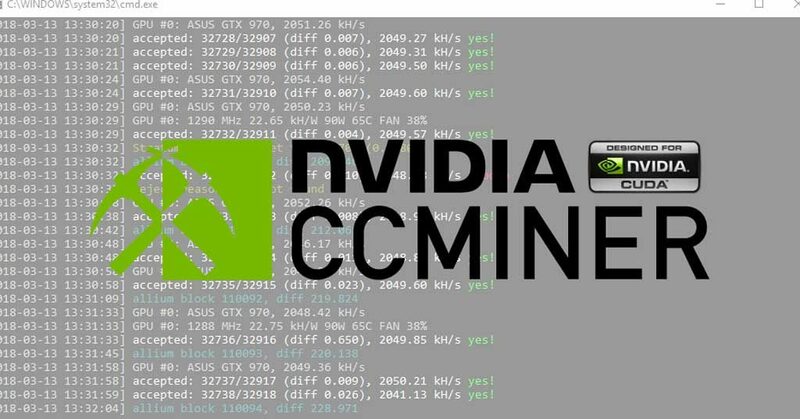 CCMiner is an open source project specifically designed for CUDA compatible GPUs and its available for both Windows as well as Linux. There are many versions of CCMiner available in which few miners are specifically built only to mine a particular algorithm. For example Garlicoin uses Allium algorithm so only CCminer Allium version supports it. A special CCMiner developed for Raven Coin that uses X16r, CCMiner developed particularly for Cryptonight coins and much more. However there are three main CCMiner versions such as tpruvot, KlausT, alexis78 which supports majority of algorithms. Christian Buchner version is the very first CC Miner which is no longer supported or active on GitHub. KlausT version is a fork of tpruvot and sp-hash. All three miners can handle the following algorithms. With all three miners supporting these algorithms how do you decide on which miner is the most optimized and gives the best performance per watt. Depending on one’s rig setup and software one miner can perform better than the other without any crashes or hiccups. You have to work with different setups tweaking the intensity and difficulty of the miner to see which works best for you. Not only the miner but also you have to tweak your GPU clock settings to utilize the most out of your GPU. 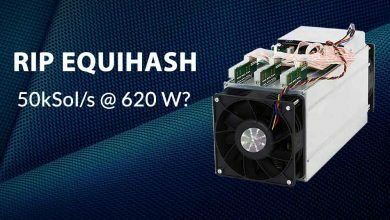 We heard from many miners saying that that there won’t be much hashrate difference among these versions. Yes, we agree that on most algorithms there won’t be much hashrate differences. However there is solid proof in which a miner client performs better than the other client. 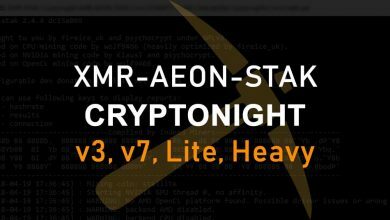 For example KlausT CCMiner version hashes better in NeoScrypt than tpruvot. Recently Enemy Miner for Ravencoin seem to produce much better hashrate than tpruvot miner. But Enemy Miner is a closed source and that’s a different story. Better the hashrate, More the coins. Using What To Mine you can pick the most profitable coin to mine at the moment. You may also know how to pick the right mining pool. But do you know how to choose the best mining program or miner for specific algorithm that is fast and uses your GPUs full potential? Here is a quick tip: We mostly use pools benchmark to see which card produces better hashrate on which algorithm and using which miner client. 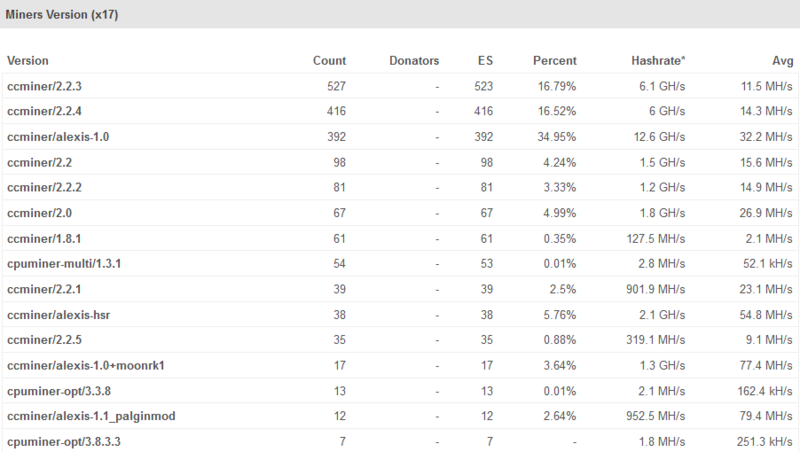 In addition to this you can also check the miners page on pools where you can get the list of miner versions people are currently using. The one with maximum percentage seem to be trusted and works for many. Apart from this you can also seek help from bitcointalk and Discord community to know what others are using. Here is the list of algorithms with CCMiner version that is known to perform better. All the above list of miners benched, tested and seem to hash well for us. Also we plan to update this post very often whenever we find a miner that performs or hashes better than the other on a particular algorithm. If you found out any miner that works well for you on a specific algorithm then please do comment it along with the link to mining application. We’ll add it to this post. Also please feel free to comment if you’d like to make some correction or share your thoughts on this post. Until then keep hashing! I’ve found that, for Neoscrypt, Palgins’ miner works better and is more stable that Klaust. Even though it is aimed for timetravel, it works much better for many different algos. There’s also a new miner on the scene: CrytpoDredge. This miner works very well for Lyra2v2, Skein and Blake2s. It comes with a dev fee, but when you look at the extra hashrate you’ll be getting, it doesn’t matter. Of course, there’s also the new miners out for the x16 algos, like Nevermore, Suprminer, Enemy and others, but those new algos weren’t listed in your post. Hi, Thank you for the mention. Since new coins and miners coming out every day we decided to list them based on its algorithm. Every week we write about an algorithm, list coins and along with that we’ll also mention the best miners for that particular algorithm. Also we’ve listed all x16r Ravencoin miners in this particular post. 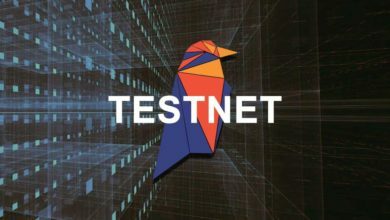 https://coinguides.org/ravencoin-x16r-miner-list/.